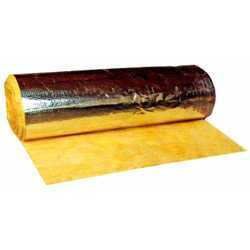 One of the best known products for Fibre Glass Wool, we are offering light gold in color and is a light weight, compressible insulation material consisting of fine, long, inorganic glass fibers bonded together by a high temperature binder. These products are available with or without Aluminium foil. 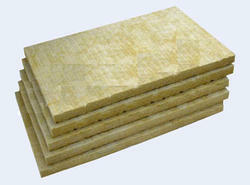 Rock Wool Rolls are designed mainly for the thermal insulation of roofs and walls. These high temperature resistant rolls are suitable for use in pre engineered buildings, pre fabricated houses, poultry farms, HVAC ducting etc. 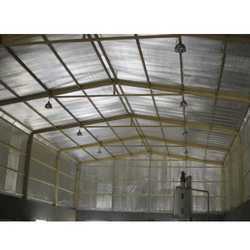 It is also used for thermal & acoustic insulation over false ceilings. The energy crisis globally has brought about an increase in combustible costs, where only an appropriate insulation system can bring about significant economic savings. All modern construction requires high performance insulation which is capable of stopping heat transfer by conduction, we are offering Reflective Insulation materials and best prices.